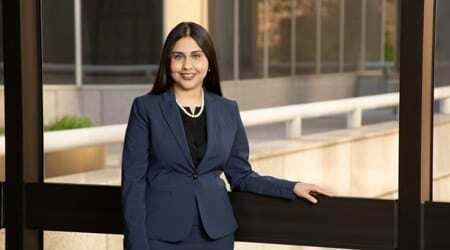 Nisha Kalidas is an attorney in the Houston office who focuses her practice on litigation and dispute resolution. Nisha has experience with complex civil litigation in both state and federal courts in the areas of personal injury and wrongful death claims in cases arising in commercial trucking, premises liability and commercial litigation. Nisha earned her Bachelor of Arts in International Studies from University of Miami in Coral Gables, Florida. While at the University of Miami, she was a member of the Dean’s List. Nisha went on to receive her Juris Doctor degree from Florida Coastal School of Law in Jacksonville Florida. Florida Costal School of Law, J.D.